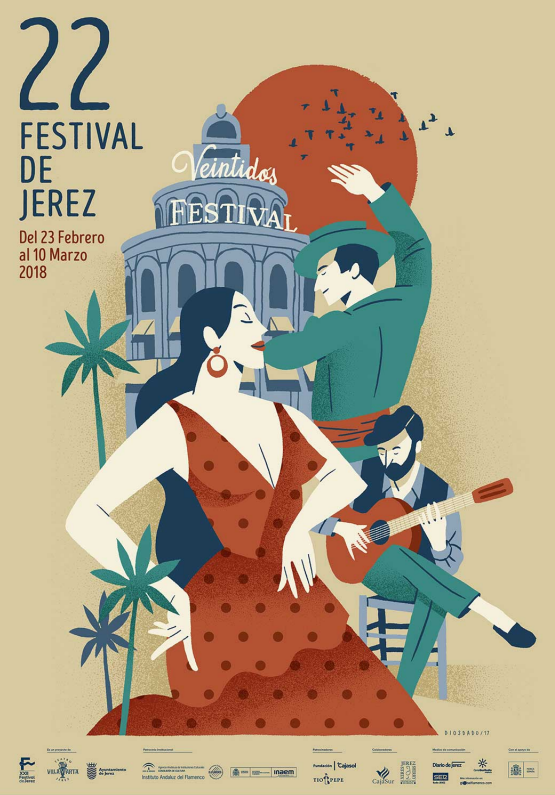 The Festival de Jerez is a festival dedicated to flamenco that is celebrated annually in Jerez de la Frontera (Andalusia, Spain). It is celebrated between the months of February and March. After each edition, the Festival de Jerez Awards are given, both by the public and by the specialized critics. It emphasizes the great quality of the performances and performers, tending to a pure flamenco. Absolute shows premieres have been made and social networks have been incorporated through media presence and flamenco flashmobs.